I'm a firm believer that kids do things at their own rate. Mica refused to cut, and barely colored until something snapped. Then he was all about cutting and coloring. Isaak's been reading words since last year. He was confident in his reading to read books just yet. I'd try off and on, and he didn't want to read. 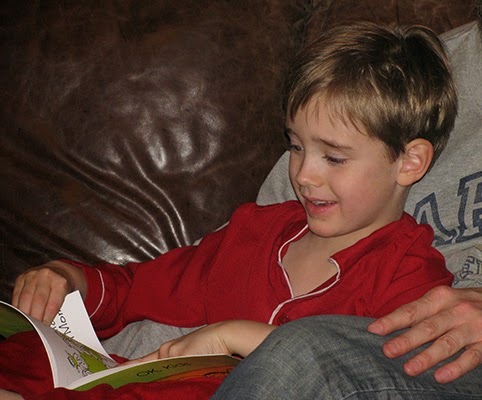 Mica, Daddy and I would read to him instead. 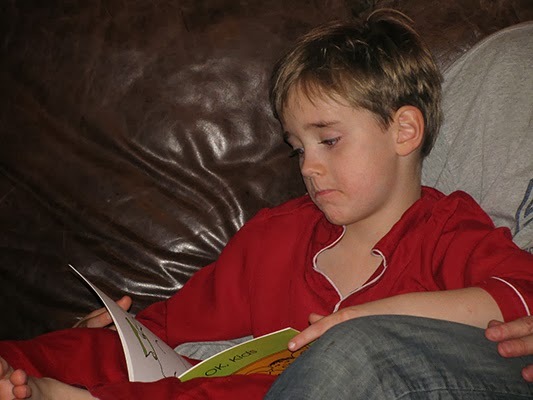 Just this week Isaak decided he was ready to read! It's really exciting to me when kids figure things out. I'm pretty happy for him. It will also be nice that he can read when we go on a road trip this summer! I love seeing him so happy to be reading! Little man is also getting really good with math. They are starting him with the common core math. I think that will be another post in its self. There are positive and negatives with that. I'm reserving judgment until I, myself learn more about this style of math. All I can say right now is that Isaak seems to be picking math up very well. Reminds me of me as a little one - I loved reading!! Sounds great! You must be proud. I loved it when my kids began to read by themselves. I still read long books to them like the Harry Potter series but they after they began reading on their own. I still love the time spent with them. If your kids learn to love reading, both you and they are truly blessed. A good book helps relieve stress, provides entertainment and knowledge. I've never understood how anyone could not want to read. My little one was a little late reading, but he is a little immature for his age. He started first grade this year, but he JUST turned six in August, so he is real young. How exciting! Keep encouraging him. All my kids began reading at different ages. My oldest wasn't interested until she hit Kindergarten. My other daughter also waited until Kindergarten. 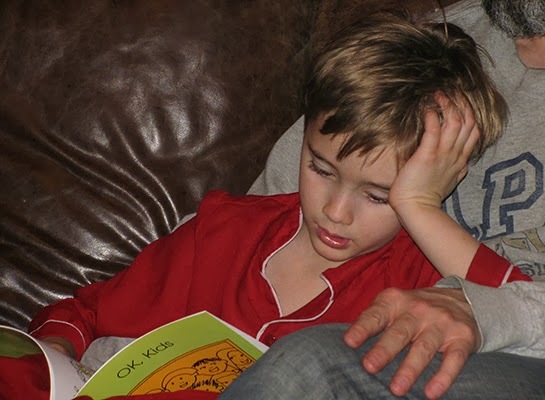 But my third child taught himself how to read when he was only three. 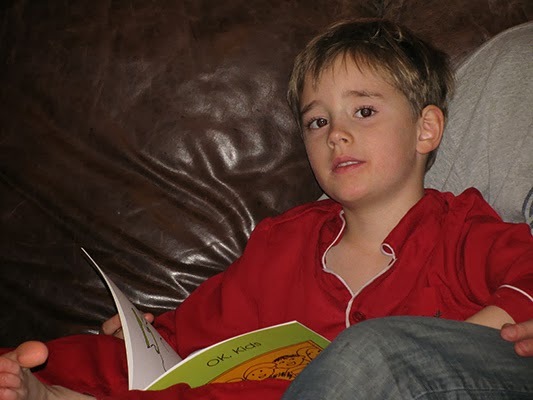 He is six now and reading at a 5th grade level. My fourth child, age 4, is just starting to get interested in learning his letter sounds and forming words. My youngest age 3 is also just starting to get interested in letter sounds and forming words. I am very exited for you and your son beginning an adventure with books! Keep it up, Mom! Congratulations to Isaak! I think this is a wonderful time and a big accomplishment in a child's life when they start to read! A whole new world is about to open up for him! How exciting to be reading now!